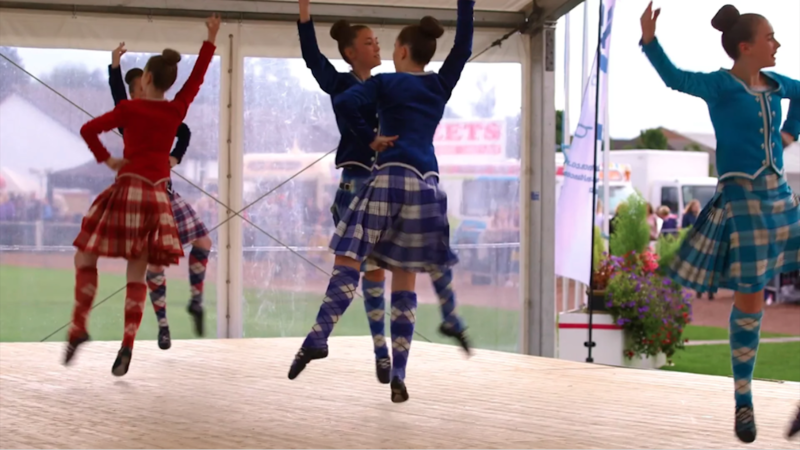 As both hosts for the World Highland Dancing Championship and Scotland’s biggest highland games, Cowal Highland Gathering is a prestigious event. Taking place on the second last weekend of August the event attracts tens of thousands of visitors from Scotland and all around the world. But the event organisers are keen to attract visitors from overseas, particularly (super)fans of Scottish Highland Dancing. International fans were keen to watch the competition. Attempts had been made to stream the event multiple times before but internet connectivity and lack of video production resources and specialist knowledge had let them down. There was uncertainty over the internet connection in Dunoon Stadium, where the event takes place. There were also many logistical challenges to overcome in capturing the action, especially if we wanted to make our coverage compelling. We are in our element in challenging environments. We love getting stuck into a job, identifying and solving problems and using creative problem solving to create dynamic content to engage audiences. A bit more on how we did it below, but first the results. Almost 26,000 unique viewers watched 12.8K hours of our coverage on Livestream (over the three days of the event). The average watch time was 15:16, compared to 2:36 for on demand video. Here is the audience split by country (using Livestream Analytics data). Viewers participated from around the world. Scottish viewers (4,788 unique) were not from nearby but from around the nation. 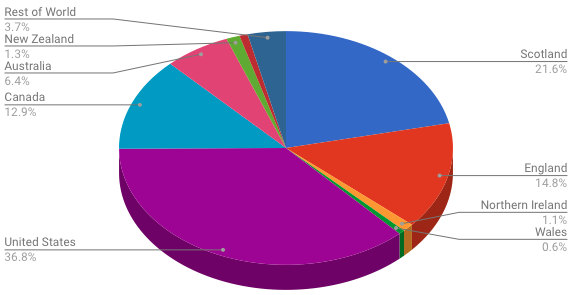 English viewers (3,225) were spread fairly evenly. The largest nation to get involved was the US (with 10,267 unique viewers) with a good representation from Canada (3,211) and Australia (1,403) too. Time difference worked against Kiwi viewers but we still served 358 New Zealanders. And one man enjoyed our work so much, he used the Livestream Donate button feature to buy us a drink! 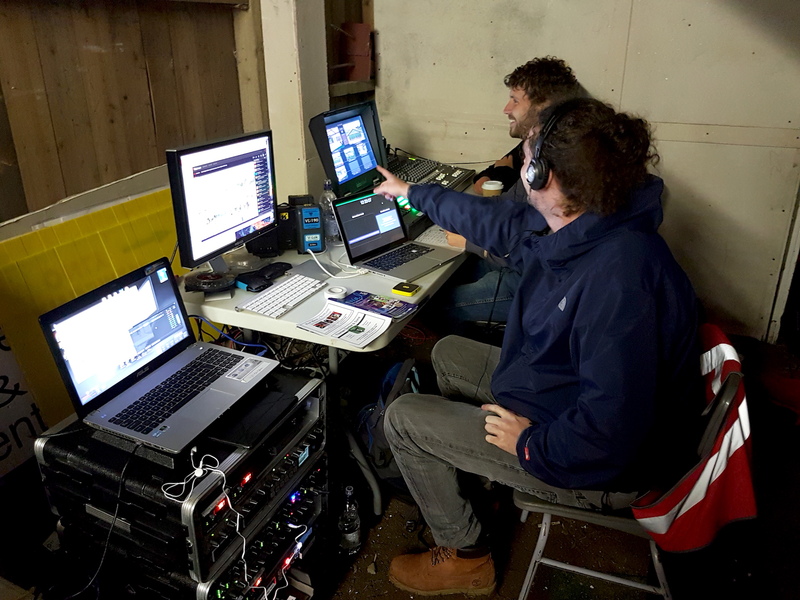 To achieve these positive outcomes, we took a crew of six people to Dunoon for four days, built our outside broadcast studio control centre in a dugout underneath the grandstand and hooked up four cameras (two static and two operated, with wireless links) to capture the dancing. From time to time we sent one of the cameras around the site to catch some of the highland games, piping and general festivities. We also did as many interviews as we could with audience members and participants. All of this provides great material to use in the highlights video, embedded above. Internet connectivity was essential so we brought Alan Davidson from TeckieBeard with us as our network engineer. Alan hooked up primary and secondary (failover) 4G connections for us and rooted a connection around the site to provide production and public WIFI access spots. In reaching 26K avid fans around the world, connecting them to the event and giving them reasons to support it we also documented the action of one of Scotland’s cultural assets and had a great time doing so. Get in touch with Inner Ear to discuss how we can help you increase the value of your event through live streaming, content creation and digital distribution.